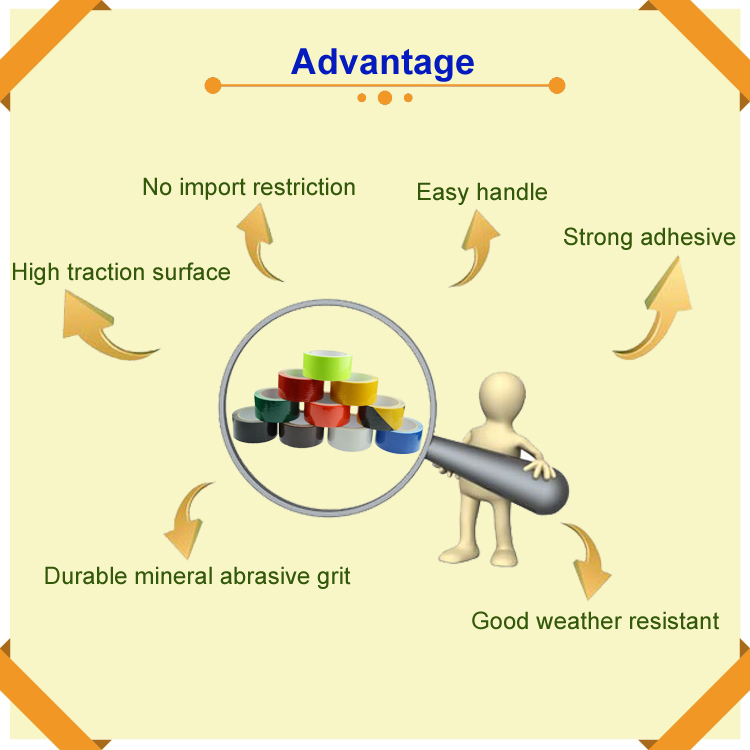 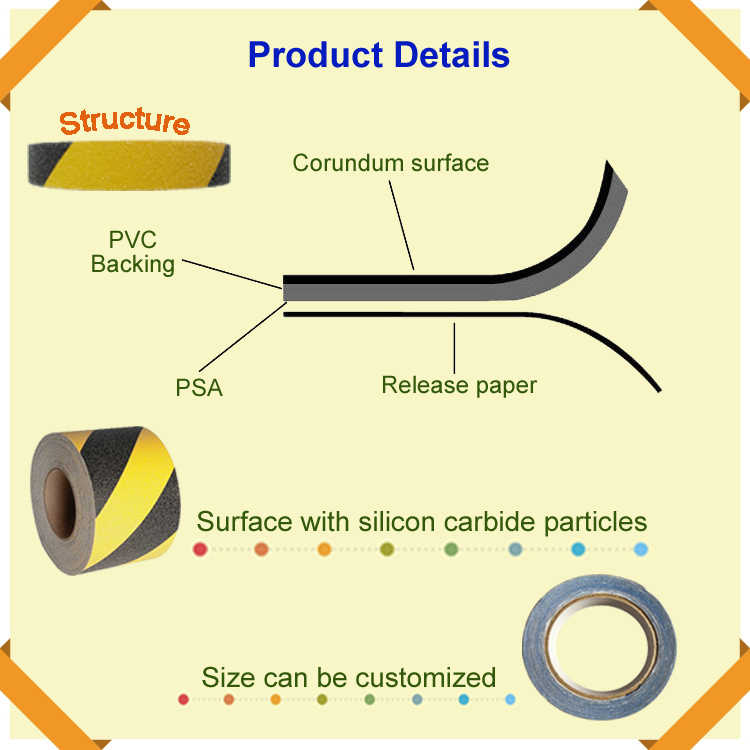 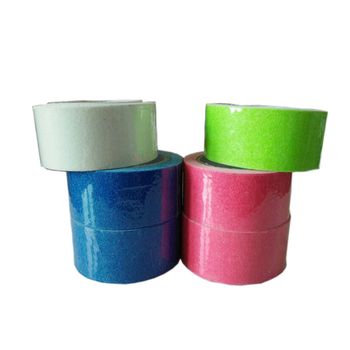 Anti slip tape is using PVC / PET / OPP / Synthetic paper as backing materials and coated with solvent acrylic adhesive. 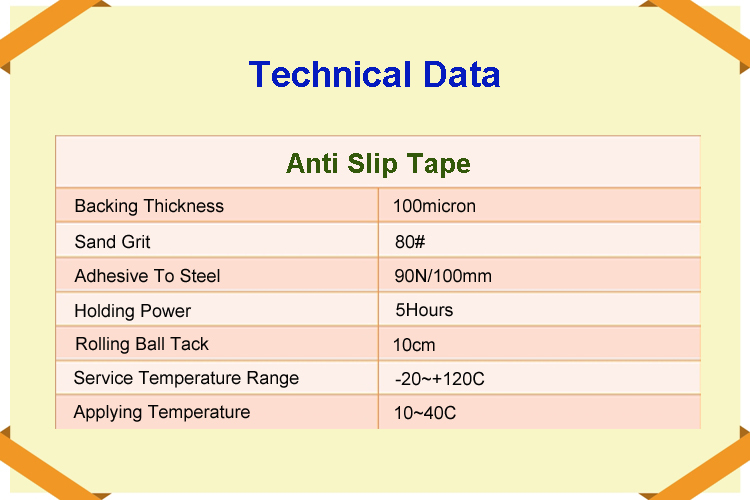 It is used to prevent slip-accident in bathroom, stairs in home and industrial areas. 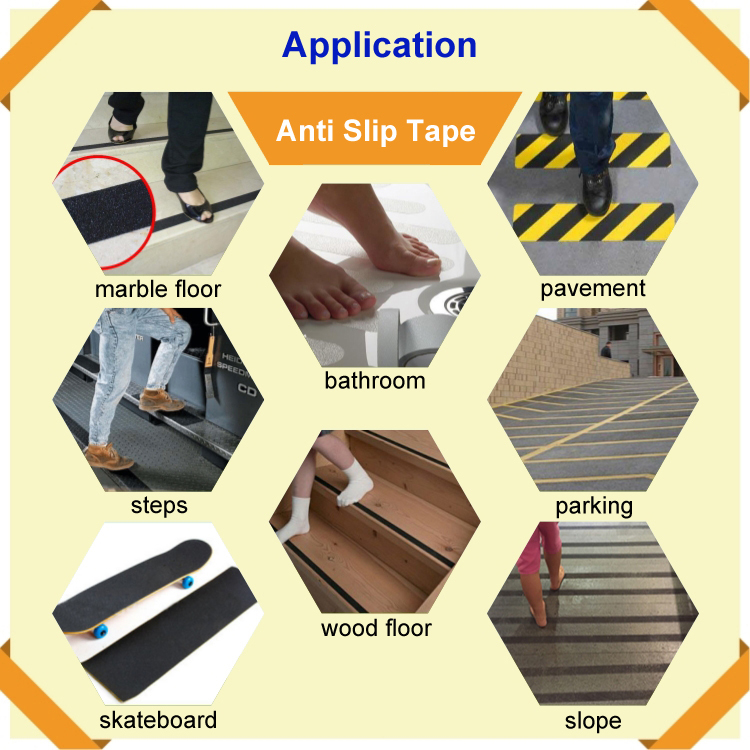 Anti slip tape is widely used for sticking on the stairs, walking areas, kitchens, scooters, slip slide etc. 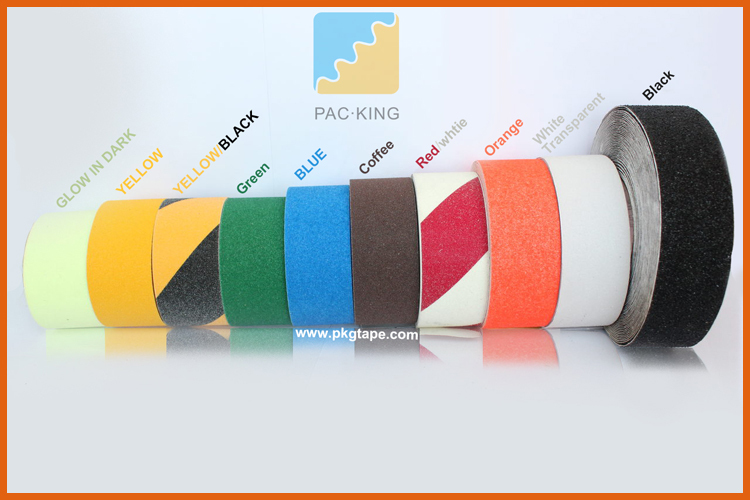 It plays a role of anti slip and can avoid fall accidents. 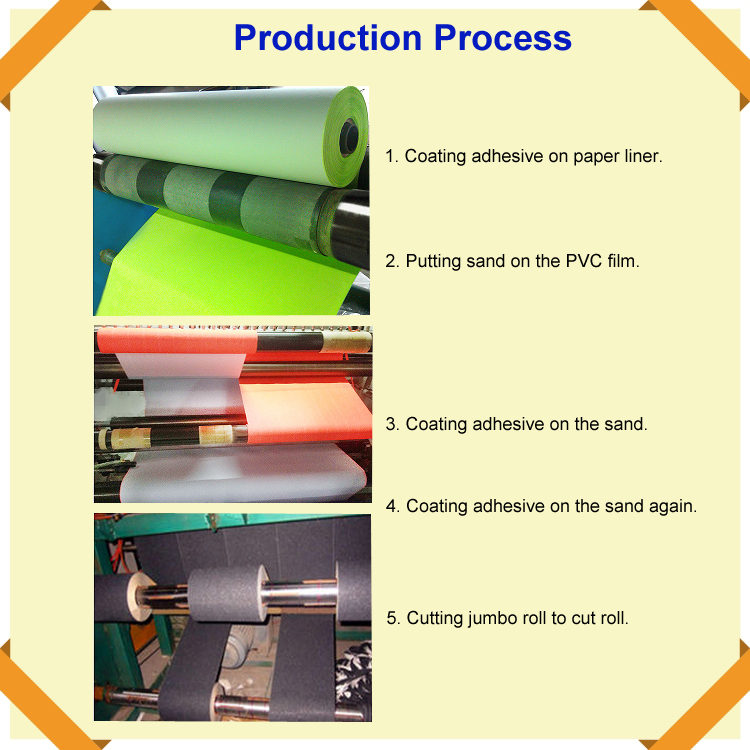 Production Lead Time: 10 - 30 DAYS AFTER DEPOSIT PAYMENT. 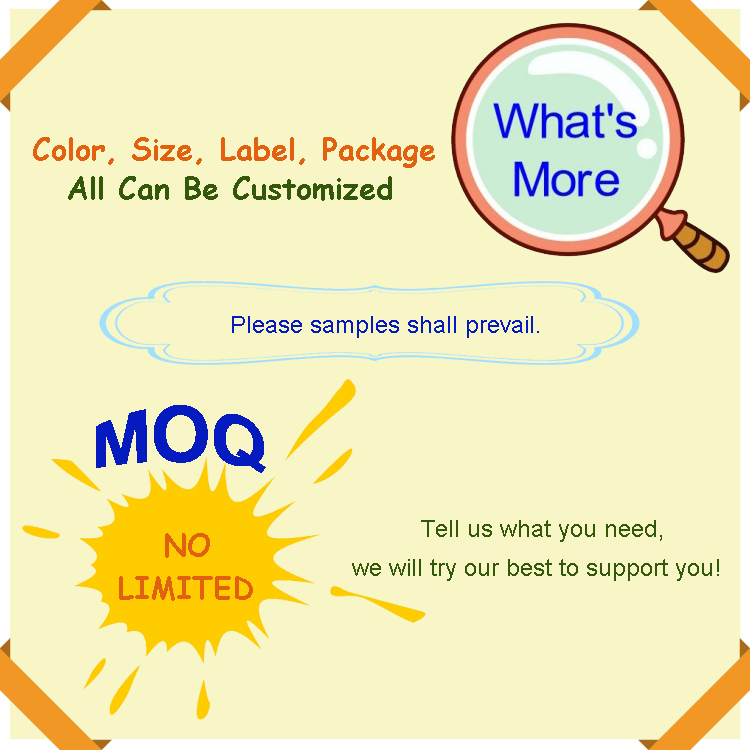 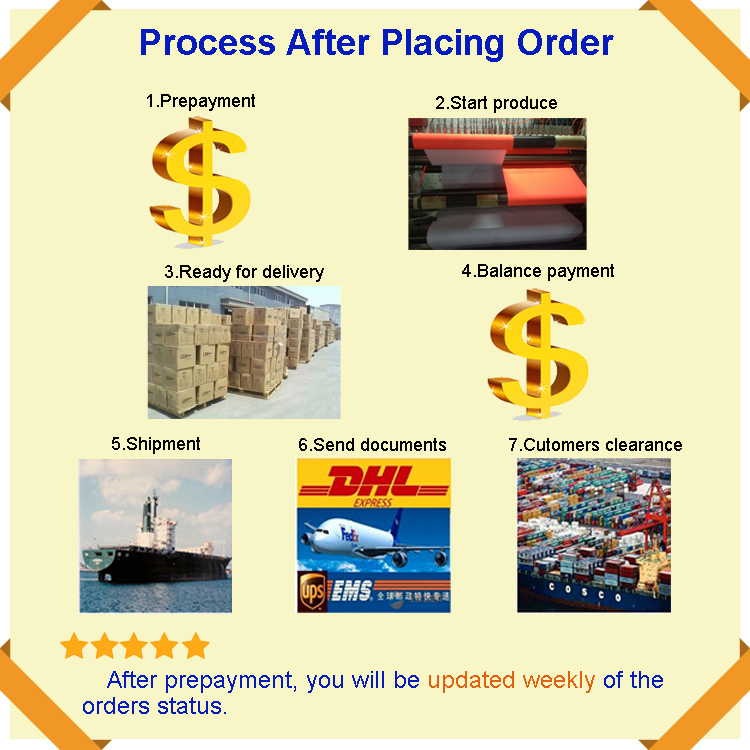 Shipping Method: Sea, air, courier, etc or as your requirements. 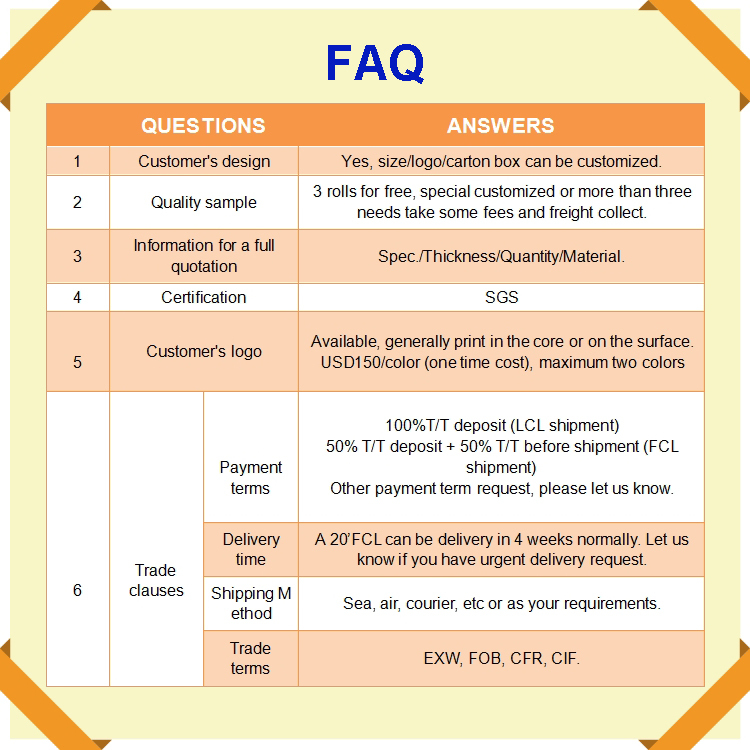 Trade terms: EXW, FOB, CFR, CIF. 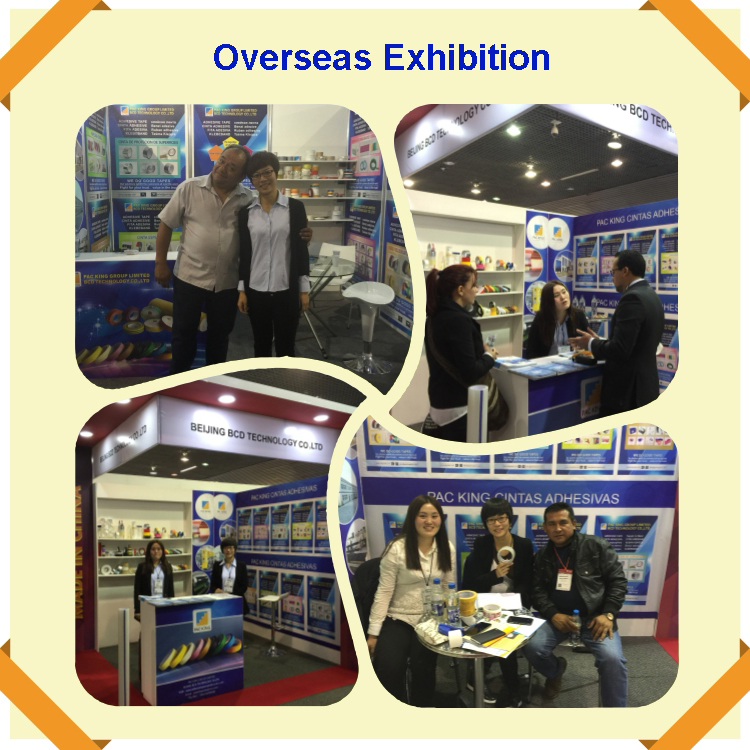 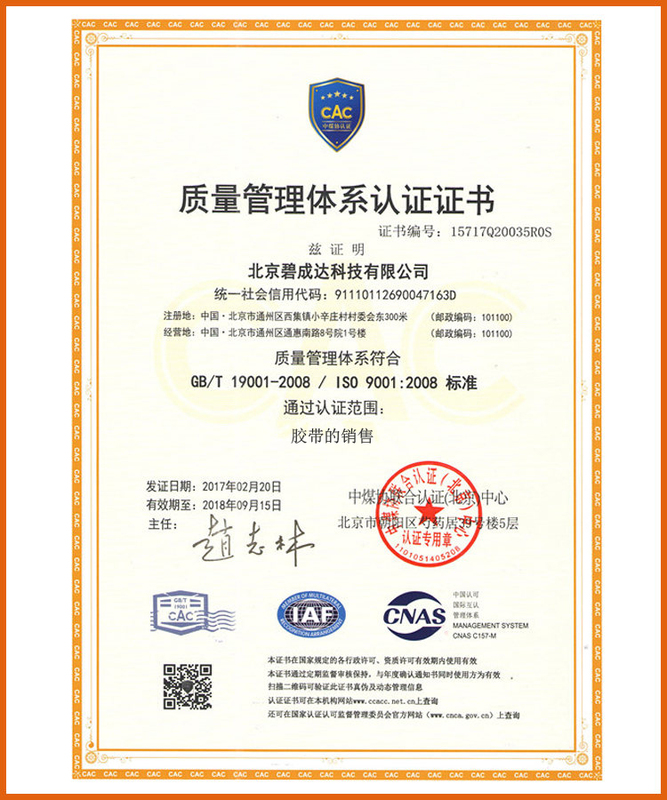 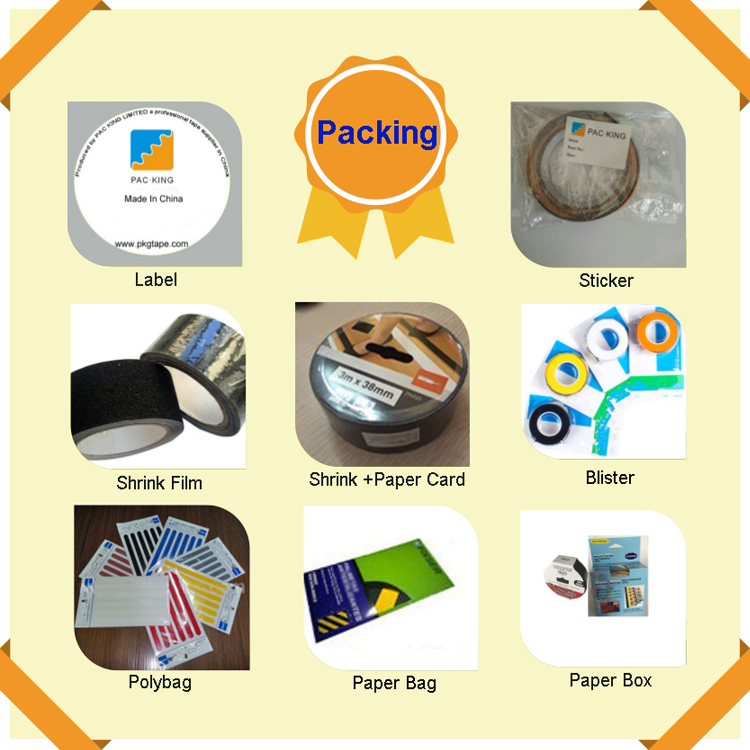 Pac King is one of the major of adhesive tapes in mainland China, exporting different kinds of tapes all over the world. 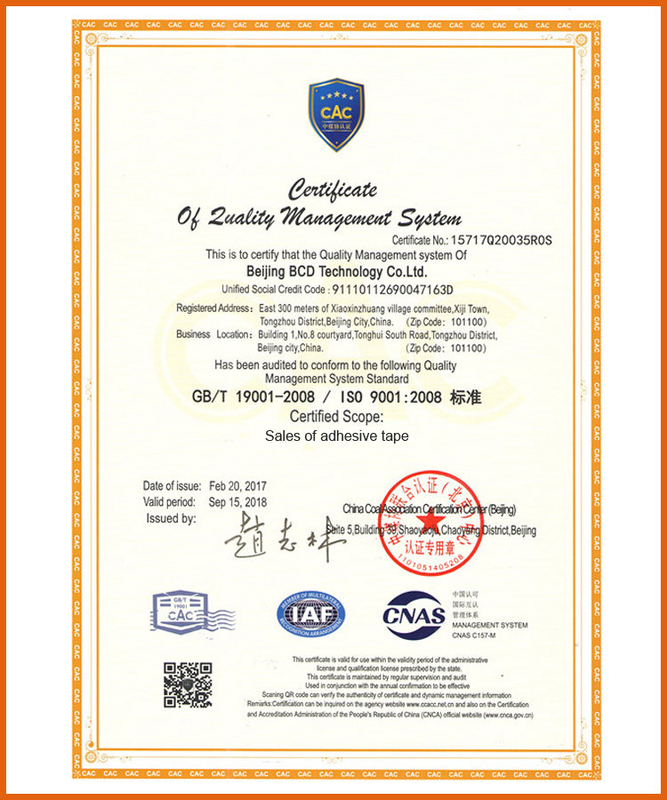 Good quality and good service is always our goals. 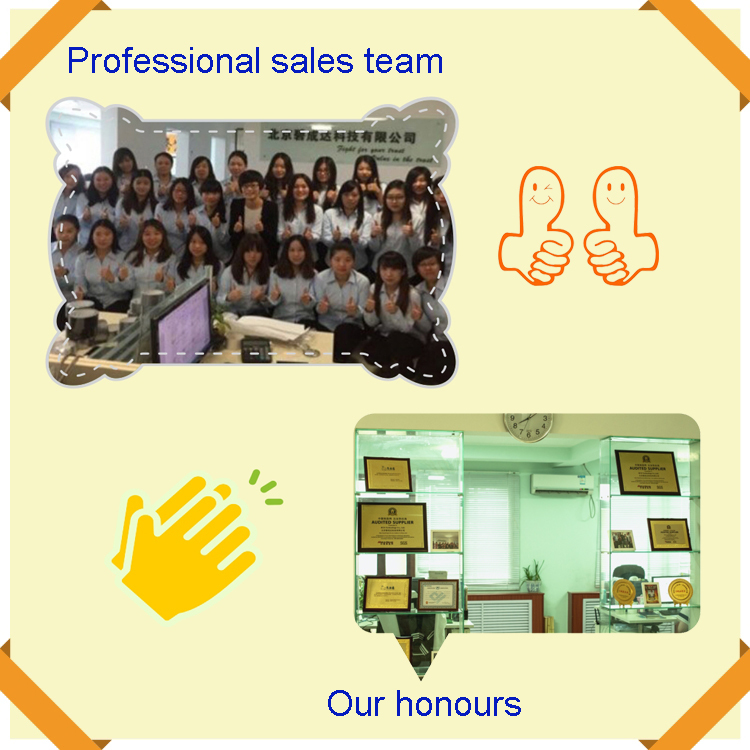 Treating your business as our own business; taking "growing together" as our principle; we, deserve your trust.